As he is on his rise to fame and being a potential superstar, introducing... Cviro! 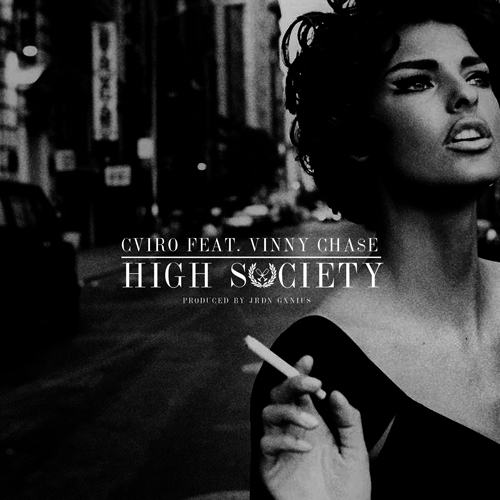 An atypical R&B artist - Cviro teams up with XXL Freshman, Harlem's very own Vinny Cha$e to lay down some bars, for his first single 'High Society,' with production work from rising producing JRDN GXNIUS who has worked with Vanessa Elisha and Vinny Cha$e. Rather than radio-ready pop anthems, his soundscape is barren and desolate; a wasteland of unfiltered emotion. Cviro's soul-stripping story telling sees him traversing the peaks and valleys of being young and figuring it all out, precisely matching his distinct vocals with bold production. With a distinct lack of concern for fame and fortune, CVIRO is free to pursue his own sound and vision across his forthcoming debut EP, Elevation, out in April 2013.